iPad or iPhone? You may be looking for some external storage. Lucky for you, we’ve got 9 external storage solutions you need for your iPad or iPhone here. Does this sound familiar? Something amazing happens, you pull out your iPhone to take a video, and as soon as you hit the big red “record” button, the dreaded “not enough storage” notification comes up. You probably end up deleting a few apps and old photos to quickly catch the last seconds of the amazing thing happening in front of you. Later, you try a combination of Google Photos and other storage apps before finally caving to Apple and buying more iCloud storage. It doesn’t have to be this way. Today you can take control of your storage with external storage devices specifically made for iPad and iPhone. Investing in the right hardware saves you money in the long-run and makes your life awhole lot easier. Here are the best external storage devices available for iPad and iPhone. 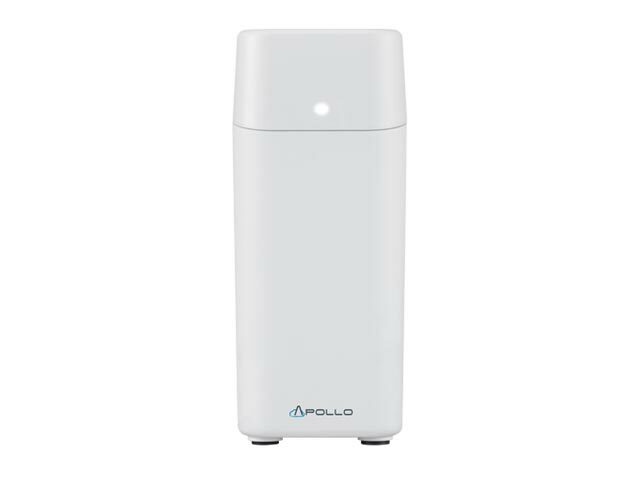 At less than 3 pounds in weight, the nimble technology that is the Apollo Cloud external storage device is a convenient, easy-to-use solution for freeing up space on your iPd or iPhone. Apollo Cloud uses USB 3.0 connectivity. What’s really convenient with Apollo Cloud is that you can drag and drop files between it and your smart device via the accompanying app. 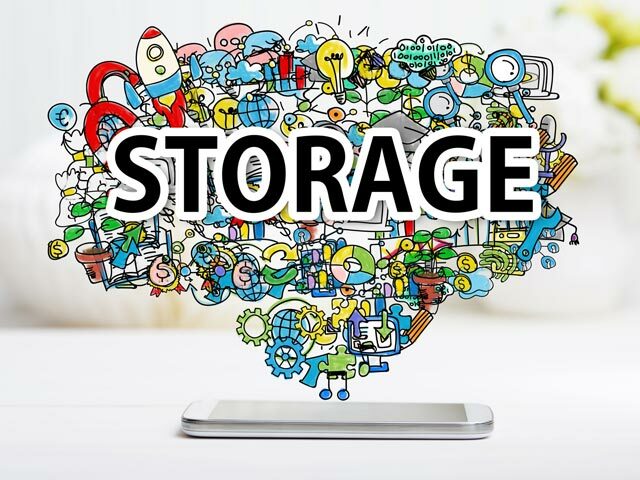 Of course, your biggest question is how much storage Apollo Cloud offers. With Apollo, you get 4TB. That’s 440 hours of HD video or a half million songs. 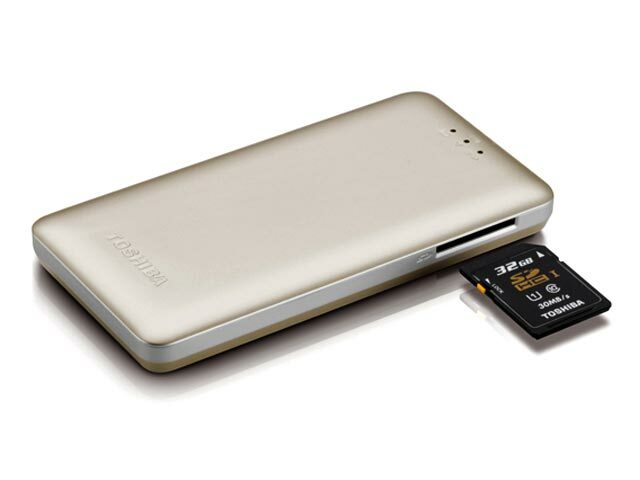 If you want to spend less money and having less storage space isn’t an issue, then the Kingston Digital MobileLite Wireless Pro is for you. This external storage device boasts 64GB, which is great if you’re storing pics and vids from your camera. The beauty of the Kingston Digital MobileLite Wireless Pro is the array of functions. You can use it to charge your phone 2.5 times. It supports flash drives and SD cards. It even creates a local WiFi network to avoid burning data on your smartphone! 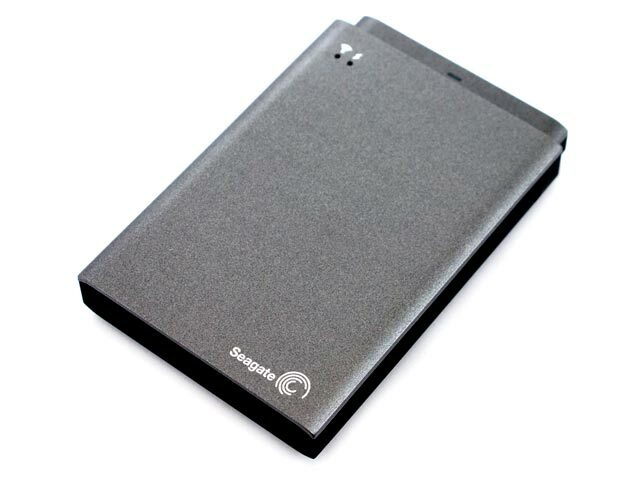 For something in between Apollo Cloud and Kingston Digital as far as price and storage, go with Seagate Wireless Plus. 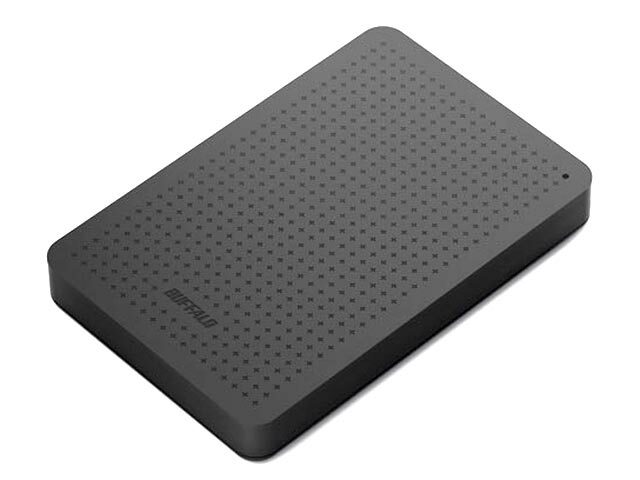 You can buy this external storage device in a 1TB or 2TB version. As the name suggests, Seagate Wireless Plus comes with built-in WiFi. Moving media between your mobile devices and the cloud is easy with the downloadable app. Seagate Wireless Plus is also compatible with AirPlay, which means you can easily stream movies and music to Apple TV. The Toshiba Canvio Aeromobile Wireless SSD is the perfect external storage device if you’re constantly on the go. That’s because it’s razor-thin (less than half an inch), weighs only 4.2 ounces, and is small enough to fit in your pocket! This external storage device for iPhone and iPad gives you 128GB of memory. 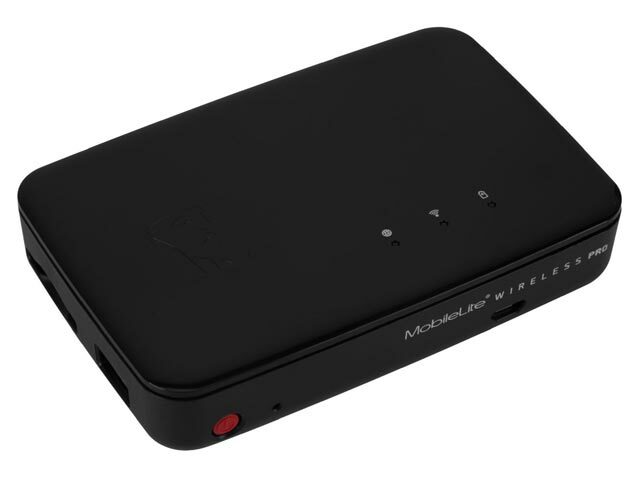 The wireless function allows you to stream you media to eight devices at the same time. Maybe you’re looking for the simple convenience of flash drive. Too bad your regular flash drive won’t work with your iPhone or iPad. Fortunately, the SanDisk iXpand Flash Drive solves your problem! This special flash drive has Lightning and USB 2.0 connectors. It’s now easier than ever to transfer media between your computer and mobile device. But the iXpand Flash Drive comes with additional features. 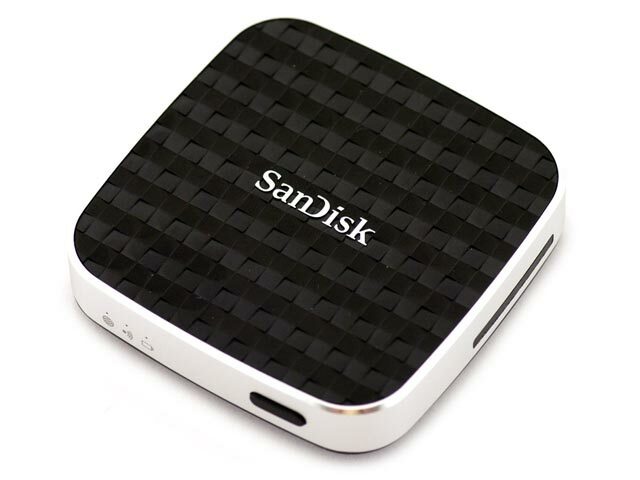 You can use it to directly stream movies and music and even backup your phone contacts. 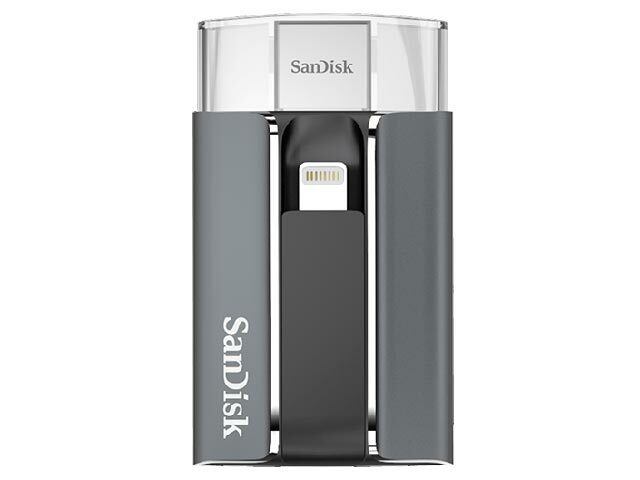 SanDisk’s flashdrive is definitelty one of the handiest tools out there! Another great flash drive to check out is this offering by Airfong. This one is a smart choice if you want versatility. It’s comparible with Apple products as well as Samsung and PC. The AirFong 3 in 1 also has a card reader, so uploading photos is a piece of cake. 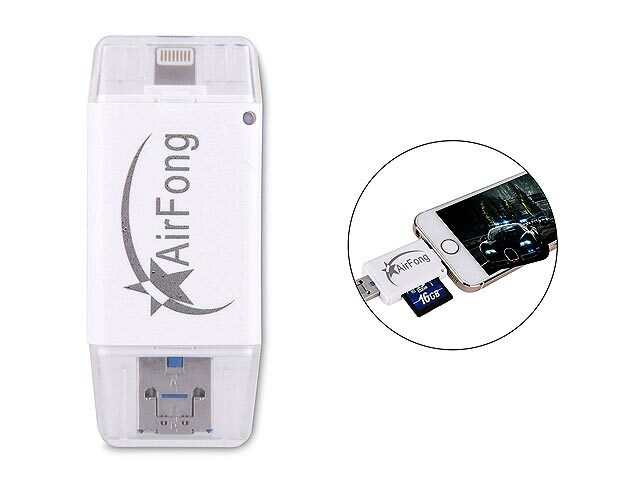 AirFong is an Amazon seller and is known for their affordable products. If you’re hard-pressed cor cash, this flash drive is a winning option. Buffalo has a strong reputation as a maker of quality products. Their Ministation is compact, Time Machine compatible, and includes tool to help with backups. Also, buying the Ministation gives you access to Buffalo’s 24/7/365 customer tech support. The price is very reasonable considering you get a full 1TB of storage! In addition to its amazing flash drive, SanDisk offers this excellent drive. It comes in 64GB and 32GB versions. It comes with a USB cable. You can charge it with you computer or an AC adapter. The battery life is long-lasting. You’ll get eight hours of usage out of a single charge. The SanDisk Connect Wireless Media Drive works with SDHC/SDXC media cards. This is one of the top iPhone/iPad external storage devices on the market. LaCie Fuel is a bit on the pricier side, but the quality is worth it. Using the mobile app, you can share files with five different devices at the same time. And you can share to Apple TV and Airplay in an instant. The storage is massive. You can literally hold over 500 movies in this external storage device. The battery lasts up to 10 hours. 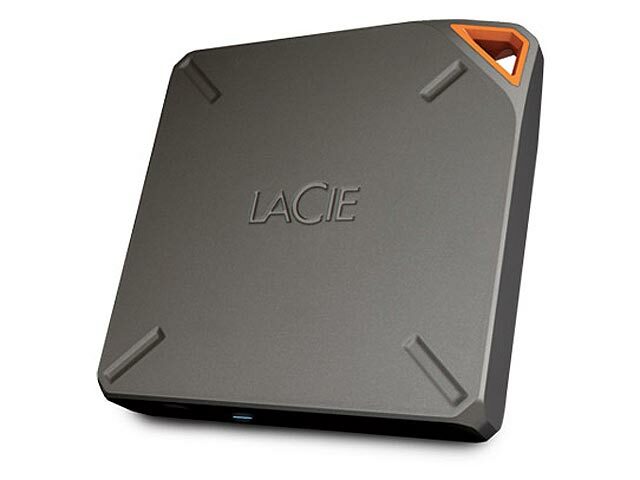 Plus, LaCie Fuel creates it’s own WiFi network, so you don’t need internet or cables to transfer your files. You never have to worry about insufficient storage in your iPhone or iPad again! As you can see, there are many great external storage devices on the market. What you ultimately choose depends on your personal needs and budget. If you want to do some heavy backing up, then you want a wireless drive with capacity of around 1TB or more. You would do well with products from Apollo and LaCie. Remember that if price is an issue, there are also more affordable options like the Kingston and Buffalo offerings. If you simply need easy transfer of data for your projects, consider a flash drive. You can’t go wrong with flash drives from SanDisk and AirFong. Choose what works for you and start saving on storage now! I finally found a solution to my problem! Owning a 16GB iPhone apparently wasn’t the best choice. I ran out of memory shorty after I bought the phone. I really liked the SANDisk iXpand flash drive since all my storage devices are from this high quality brand. Hey Michael. If you will install Sandisk software called – iXpand sync app, which comes with this drive, then yes – photos and videos will be automatically synced on connect.